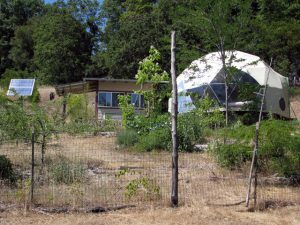 Laytonville Ecovillage is a small, growing, permaculture inspired, green community in the making, located in Northern California’s beautiful Mendocino county. Inquire about parcels for sale and the land share opportunity. 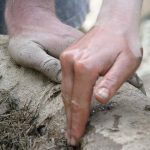 This unique monthlong series of workshops, presentations and projects spread over four weekly, topical modules which one can take individually or as a whole month-long engagement with the land, material and each other. We encourage you to take the entire course. 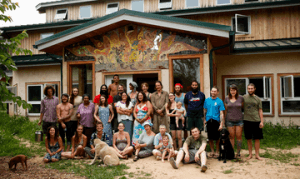 A month-long “living together” immersion is like no other experience. Just come! Prepare to have your paradigms shifted! Individual weeks are only $350 each! We’ll take weekends off to rest and integrate the information we took in during each week’s sessions, and to have fun and explore beautiful Mendocino county. We’ll also take field trips to local sites that demonstrate various aspects of sustainability, natural building, rocket stove mass heater technology, and more. You will be responsible for providing most of your food and doing three hours of work-trade each week. Logistics detailed below. Tenting will be available in a shared, eco village/ learning/ building environment. Click these sustainability workshop titles for more details on workshops and presentations. Registration is handled through Solar Living Institute. Laytonville Ecovillage has all of the amenities for comfortable camping. We have a large outdoor kitchen, outdoor showers, abundant clean water, Wi-Fi, humanure haciendas, and a large commons for educational settings. Work clothes (gloves and boots), light clothing for hot weather, camping gear, cook stoves, coolers, and anything you need to be comfortable camping for a month. A theme weaving through the course is a “reality check” about what living sustainably actually means. What are the benefits and challenges? What are your assumptions about it? What aspects of your current life are needs and requirements and what are preferences? By the end of the course, you should have a new basket of tools and skills to take back to your life and an understanding of what adjustments you would need to make and are willing to make to live sustainably. Will you just set up a kitchen composting station in your apartment or actually develop an off-grid Permaculture Homestead and Tiny House ecovillage? How will you take the gems and insights from the course and integrate them into your own life back home? How will you keep connected to the special people with whom you’ve bonded in the course? How will you use the tools and techniques that you have learned? Looking for a ride share to the event? 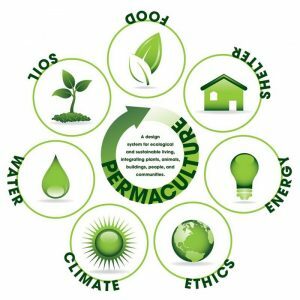 Got things to say about Permaculture and Sustainability? Check out the forum.